Note: Make sure you are using the latest versions. 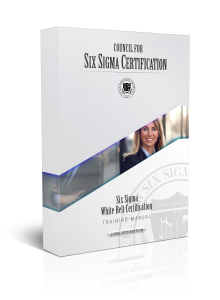 Our six sigma training materials are continually being updated and improved through the input of the six sigma community. By having the newest version, you will always have the latest updates, improvements, and industry changes. 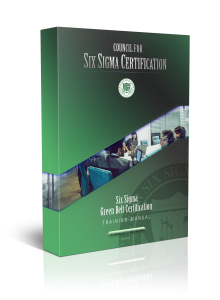 The Council for Six Sigma Certification is excited to offer a perfect solution for those that are self-reliant or simply cannot afford the cost of traditional six sigma training. If you are comfortable tackling the methodology on your own, we are here to help! Simply read the necessary self-study guide and take the certification exam. If you have problems along the way, we recommend that you reach out to a Mentor or Training Provider. Whether you are a College & University program instructor/administrator, an independent training provider, or individual… you will find our study guides are a perfect solution to serve as the core of your curriculum. If not already doing so, we also highly recommend that training program administrators contact us at [email protected] to take advantage of additional pricing discounts that we can offer to organizations that are utilizing our testing and certification platform. 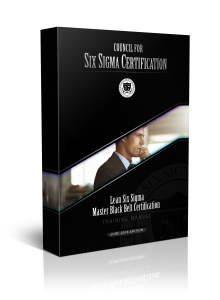 As an added benefit to the entire Six Sigma industry, we help force training providers to add more value beyond just a textbook. 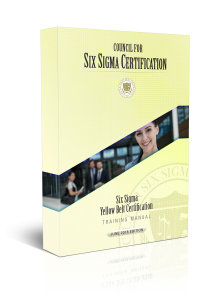 By offering FREE self-study six sigma training manuals, they are pressured to offer additional supplemental materials and instructor support in return for the prices they charge. 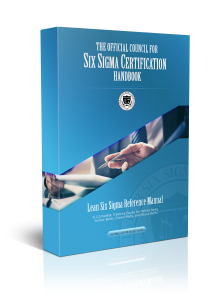 Because our six sigma training guides are the basis of many training provider’s programs, we are constantly receiving feedback from them and the Six Sigma community that we can use to make our training (and their training) better. This ensures that we can always offer the latest updates, improvements, and industry changes in an easily obtainable up-to-date edition for everyone to enjoy. *We’re sorry that we can’t also provide physical textbooks for free, but unfortunately printing very large books with illustrations is prohibitively costly. If you find our training material useful, please consider supporting us by leaving a positive review on Amazon. Have feedback on how we can make our Training Manuals even better? Help us make the Six Sigma industry even better… together. Submit your feedback.